Draft: 1999, Seattle Mariners, 6th rd. Joseph J. (J.J.) Putz... Married to Kelsey…has 4 children: Lauren, Kaelyn, Joseph and Addison... Graduated from the University of Michigan…received his undergraduate degree in kinesiology in Dec. 2010... Graduated from Trenton (Mich.) High School in 1995… was a 2-time All-State selection for baseball…his No. 20 was retired in 2012. Went 3-1 with 6 saves and a 2.36 ERA (9 ER in 34.1 IP) in 40 games in his third season with the D-backs... His 2.36 ERA was 0.46 lower than 2012 and second lowest since 2008 (2.17 in 2011)... Registered 6 holds, his fi rst since 2010 (14)... On 15-day disabled list from May 8-June 29 with a strained right elbow and from Aug. 24-Sept. 16 with a dislocated right little fi nger... Posted a 1.25 ERA (3 ER in 21.2 IP) after returning from his first DL stint compared to a 4.26 ERA prior... Ranked eighth among NL relievers with a 1.10 ERA (2 ER in 16.1 IP) after the All-Star Break (min. 15 G)... First batters faced batted just .143 (5-for-35), tying his career low (also 2006)... Left-handers hit just .180 (9-for-50), his second-lowest mark since 2008 (.179 in 2011)... Surrendered just 1 home run over his fi nal 27 appearances (21.2 IP) after 3 in his fi rst 13... Struck out at least 2 batters in his fi rst 4 games (9 SO) and 5 straight dating back to 2012 (11 SO)…the 5-game streak with at least 2 strikeouts marked the second-longest of his career, trailing his 6-game stretch from Sept. 20-Oct. 1, 2006 (16 SO)... Season-high 14 straight scoreless outings from July 4-Aug. 14 (12.0 IP). Recorded his fourth season with at least 30 saves, going1-5 with a 2.82 ERA (17 ER in 54.1 IP) in 57 relief appearances...his 32 saves ranked fourth on the D-backs'all-time, single-season list and tied for seventh in the NL...Is the first reliever in club history with 30 saves in back-to-back seasons...Lowered his first-half ERA from 4.50 (14 ER in 28.0 IP)to 1.03 (3 ER in 26.1 IP) after the All-Star Break...Posted a 0.84 ERA (3 ER in 32.1 IP) since June 23, third best among all NL relievers during that span...only theBraves' Eric O'Flahery (0.28) and Craig Kimbrel (0.76)had lower marks...Was 14-for-15 in save situations at Chase Field, comparedto 18-for-22 on the road...14 saves at home were tied forfourth-most in club history with Matt Mantei in 2003...18-game scoreless streak dating back to Aug. 13, 2011ended on Opening Day (1 ER in 1.0 IP)...Club-record 28-game consecutive save streak from July27, 2011-April 12, 2012 ended on Todd Helton's game-ending homer on April 14 @ Rockies...Saved both games of a doubleheader on Aug. 22 vs. Marlins, the first D-backs pitcher to accomplish the feat...Tied a club record with 24 straight scoreless outings fromJune 23-August 31 (also Brandon Lyon from April 9-June12, 2008)...his 23.2 scoreless inning streak also rankedsecond to Lyon (25.0 IP) among all D-backs relievers...Did not yield a homer over his final 46 games (44.1 IP). Saved a career-best 45 games in his first season with the D-backs, going 2-2 with a 2.17 ERA (14 ER in 58.0 IP)...named MLB Delivery Man of the Month twice (May and September)...Reached the 40-save plateau for the second time (also 2007) and posted his second consecutive season with a sub-3.00 ERA (2.83 in 2010)...His 45 saves were second-most in single-season club history behind Jose Valverde's 47 in 2007...Ranked among National League relief leaders in save percentage (3rd, 91.8), saves (3rd), WHIP (5th, 0.91),strikeout-to-walk ratio (5th, 5.08), opponents on-base percentage (6th, .242), baserunners per 9.0 IP (6th, 8.53) and walks per 9.0 IP (T8th, 1.86)...Recorded a 0.36 ERA (1 ER in 24.2 IP) on the road (min. 20 IP), the second-best ERA among all Major League relievers...his .113 (9-for-80) was the best road mark in baseball, and his 26 saves were second to Valverde (27)...Opened the season with a club-record 16 consecutive saves from April 1-May 29, surpassing the previous highset by Byung-Hyun Kim (10) from April 6-May 8, 2002...Converted franchise-record 24 straight save opportunities from July 27-Sept. 25...Did not allow a run in 18 consecutive games (15.2 IP)from Aug. 13-Sept. 27...On the disabled list on July 1-26 (retroactive to June 29) with right shoulder tendinitis...Named MLB Delivery Man of the Month for September (third career time, second of season) after converting each of his 10 saves...Earned the save (No. 44) in the division-clinching victory on Sept. 23 vs. Giants...POSTSEASON: Was 0-1 with a 3.86 ERA (1 ER in 2.1 IP) in 3 NLDS games vs. Brewers...suffered the loss in Game 5, allowing 1 run in 0.1 IP. Tied for second in wins (7), tied for fourth in strikeout-to-walk ratio (4.33) and ranked fifth in strikeouts-per-9.0 innings(10.83) among AL relievers...Went 7-5 with a 2.83 ERA (17 ER in 54.0 IP) and 3 saves in 60 games in his first season with the White Sox...Established a career-high with 7 wins, while his 5 losses matched a career-high (also in 2005 and 2008)...Had a club-record 27 consecutive scoreless appearances from May 17-July 28...the 27.0 scoreless innings pitchedduring the streak marked the 10th-longest in franchise history...Went 3-for-7 in save situations and totaled 14 holds, his most since recording 21 in 2005...Went 5-2 with a 1.59 ERA (6 ER in 34.0 IP) before the All-Star break...posted a 0.70 ERA (2 ER in 25.2 IP) on theroad...Opponents hit just .204 (41-for-201), including a .164 clip (18-for-110) against right-handed hitters...Went 3-0 and did not allow a run as opponents hit just .080 (2-for-25) in Interleague play...Made his White Sox debut on April 5 vs. Indians with a scoreless inning of work...Appeared in back-to-back games for the first time on June 23-24 vs. Braves...His save on June 29 @ Royals was his first of more than 1.0 inning pitched since Sept. 22, 2007 @ Angels (1.1 IP)...Went 4-0 and did not allow a run in June...Earned his 50th career hold on July 28 vs. Mariners...Suffered back-to-back blown saves on Aug. 14-15 vs. Tigers for the first time since July 25-Aug. 13, 2008, when he had4 blown saves...Earned the win on Aug. 21 @ Royals despite recording his third straight blown save...Placed on the disabled list on Aug. 25 with right knee patella tendonitis...reinstated on Sept. 9...Had 6 scoreless outings to end the season (3.1 IP) but went 2-2 with a 6.17 ERA (8 ER in 11.2 IP) in his final 15 outings. Appeared in just 29 games in his first season with the Mets before being sidelined with bone spurs in his right elbow...went 1-4 with a 5.22ERA (17 ER/29.1 IP), two saves and 10 holds...limited right-handed batters to a .220 (13-59) average...was placed on the 15-day disabled list on 6/5 with bone spurs in his right elbow...underwent arthroscopic surgery on 6/9to remove bone spurs from the back of his right elbow (procedure performed by Dr. David Saltcheck and Dr. Struan Coleman)...was tied for seventh inthe National League with 10 holds at the time of his injury...picked up his first win with the Mets on 4/17 vs. Milwaukee (0 ER/2.0 IP)...missed two games after receiving a cortisone shot on 5/14...earned his first save with the Mets on 5/16 at San Francisco, working 1.0 scoreless IP...was transferred to the 60-day disabled list on 8/6 and missed the remainder of the season...compiled a 3.00 ERA (1 ER/3.0 IP) with one save and two strikeouts in three games for the United States at the World Baseball Classic...was signed by the White Sox as a free agent on 12/11. Tied his career-high with six wins...Went 4-2 with eight saves and a 2.96 ERA (nine earned runs/27.1 innings) in 27 appearances after returning on July 20thfrom his second stint on the Disabled List with a hyperextended right elbow...Converted all five save opportunities in September and allowed only two runs in eight appearances (2.25 ERA)...Recorded his 100th career save on September 23rd vs. Los Angeles (AL)...Won three consecutive appearances: August 3rd vs. Baltimore, August 5th vs. Minnesota and August 7th vs. Tampa Bay...Recorded saves in back-to-back appearances August 22nd and August 24th vs. Oakland...They were first saves since June 9thvs. Toronto...Also recorded saves in three consecutive outings: September 5th and September 7th vs. the Yankees andSeptember 10th vs. Texas...In save opportunities was 2-3 with a 4.50 ERA (11 earned runs/22.0 innings)...In non-save situations, went 4-2 with a 3.33ERA (nine earned runs/24.1 innings)...Placed on the 15-Day Disabled List from April 2nd-Aprl22nd, with mild costochondritis on his right side. Started the season as the setup man for closer Eddie Guardado, but was moved into the closer's role in May and proceeded to save 34 of his career-best 36 games after the move. Putz ranked first among American League relievers with 104 strikeouts with only 13 walks. Putz appeared in a career-high 72 games and pitched 78 1/3 innings, which was also a career best. Spent first full season in the Majors, appearing in 64 games, all in relief...Won a career-high six games; led the Mariners bullpen in wins and decisions (11)...Six of eight homers allowed came against left-handed hitters...Allowed one earned run in first 12 games April 5-May 10 (1 ER, 10.1 IP/0.87 ERA)...Collected first ML win April 8 vs. Texas in career game #59; was 0-3 in first 58 games...Failed to convert first three save opportunities (April 8, May 14 & 16)...allowed grand slam home runs after inheriting bases loaded jams May 14 and May 16...Allowed four homers in six appearances May 11-24; allowed 4 homers in other 58 appearances, combined...Allowed runs in only 2 of 9 June appearances (3 ER, 12.0 IP/2.25 ERA)...Ended season-high 3-game losing streak with win #2 on July 16 vs. Baltimore...Allowed only 1 ER in 7 games (5.2 IP) July 2-Aug. 12...Won three times in five appearances July 22-25...Recorded only 2005 save (first since 9/24/04) Sept. 9 vs. Baltimore...Was 2-0-1, 2.61 in final 16 games (Aug. 21-Sept. 23), allowing just 3 ER in 11.2 IP...Did not appear in a game after straining hamstring Sept. 23 in Detroit. Recalled from Tacoma April 14, pitched one shutout inning...optioned back to Tacoma April 17 and recalled again April 29...did not allow a run in first 10 outings... recorded first Major League save on Aug. 7 at Tampa Bay...converted nine consecutive save opportunities from Aug. 7 to end of season with Eddie Guardado on DL...nine saves were second highest on club (Guardado, 18) and third highest for AL rookies...converted 9 of 13 save opportunities overall...posted a 1.13 ERA in Sept./Oct., converting all 3 save opps and allowing 1 run in 8.0 IP. Made 41 relief appearances with Tacoma, going 0-3 with 11 saves...Recorded a save in four consecutive appearances, Aug. 13-18...Had nine saves and a 0.89 ERA (30.1 IP, 3 ER) in 18 appearances in July and August...Allowed only one run in his last 13 appearances (19.0 IP)...Held opponents to a .225 average, including a .205 average against left-handers...Recalled to Seattle on Aug 7, appearing in one game, tossing 1.2 innings of scoreless ball...Optioned to Tacoma on Aug. 11; recalled Sept. 2. Began season on disabled list with a right shoulder strain, then split season between San Antonio and Tacoma...reinstated from DL April 22, and was assigned to the Missions... had 3.64 ERA in 15 starts despite a 3-10 record...promoted to Tacoma July 12...went 2-4 with a 3.83 ERA in nine starts with the Rainiers...finished season with (138.0 IP, 57 ER) in 24 starts, striking out 99 while walking 49 batters. Set career-highs in innings pitched (148.0) and strikeouts (135) in 27 games, 26 starts, with double-A San Antonio...his 3.83 ERA was 8th-best in the Texas League...was 1-6 in his first 14 starts, but went 6-3 in his final 13 starts...had a strong August, going 3-1, 3.51 (33.1 IP, 13 ER) in 6 games, 5 starts...made only relief appearance of season Aug. 15 vs. Tulsa, throwing 4 innings...was 2-0 with a 1.42 ERA (19.0 IP, 3 ER) in his final three starts of the season. Pitched in 26 games (25 starts) with Wisconsin...finished tied for third in the Midwest League with three complete games...pitched a seven-inning no-hitter April 21 vs. Kane County...tossed back-to-back complete game shutouts June 27 vs. South Bend and July 2 vs. Kane County...was 3-0, 2.00 in six August games, five starts...won his final six decisions of the regular season from July 17-Sept. 2. Began pro career with Everett...was 0-0, 4.84 with two saves in 10 games. 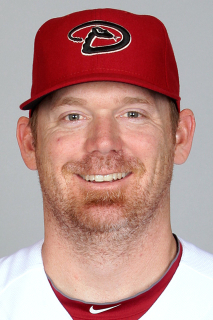 June 26, 2014 Arizona Diamondbacks released RHP J.J. Putz. June 20, 2014 Arizona Diamondbacks designated RHP J.J. Putz for assignment. June 9, 2014 Arizona Diamondbacks activated RHP J.J. Putz from the 15-day disabled list. June 5, 2014 Arizona Diamondbacks sent RHP J.J. Putz on a rehab assignment to Reno Aces. September 16, 2013 Arizona Diamondbacks activated RHP J.J. Putz from the 15-day disabled list. August 24, 2013 Arizona Diamondbacks placed RHP J.J. Putz on the 15-day disabled list. Dislocated right pinky finger. June 29, 2013 Arizona Diamondbacks activated RHP J.J. Putz from the 15-day disabled list. June 19, 2013 Arizona Diamondbacks sent RHP J.J. Putz on a rehab assignment to Reno Aces. May 8, 2013 Arizona Diamondbacks placed RHP J.J. Putz on the 15-day disabled list. Right elbow strain. July 26, 2011 Arizona Diamondbacks activated RHP J.J. Putz from the 15-day disabled list. July 22, 2011 sent RHP J.J. Putz on a rehab assignment to Reno Aces. July 17, 2011 sent RHP J.J. Putz on a rehab assignment to AZL D-backs. December 8, 2010 Arizona Diamondbacks signed free agent RHP J.J. Putz. November 7, 2010 RHP J.J. Putz elected free agency. September 9, 2010 Chicago White Sox activated RHP J.J. Putz from the 15-day disabled list. August 25, 2010 Chicago White Sox placed RHP J.J. Putz on the 15-day disabled list. Right knee patella tendinitis. December 11, 2009 Chicago White Sox signed free agent RHP J.J. Putz. November 7, 2009 RHP J.J. Putz elected free agency. August 6, 2009 New York Mets transferred RHP J.J. Putz from the 15-day disabled list to the 60-day disabled list. June 5, 2009 New York Mets placed RHP J.J. Putz on the 15-day disabled list. Bone spur on the back of his right elbow.